Home > All our e-liquid>Snake Oil>FIESTA Snake Oil 10 x 10 ml ! Liquid reference for confirmed vapers, the Snake Oil proposes 10 x 10ml bottles of e-liquid, ideal for bottles in advance of this delicious product. This e-liquid will awaken your senses with this complex Citric Fruits and Aniseed Liquorice. Snake Oil e-liquids are special as they are steeped for 14 days for perfect aroma maturation. You can equally leave the e-liquid for a few days for an enriched aroma. Snake Oil will surprise you with this freshness. 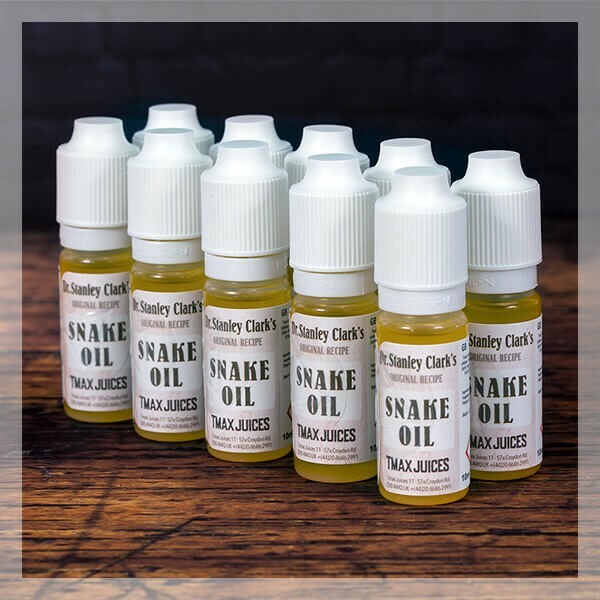 Let yourself be tempted with this Snake Oil e-liquid- 10 x 10 ml bottle. "All day depuis plusieurs années ..."